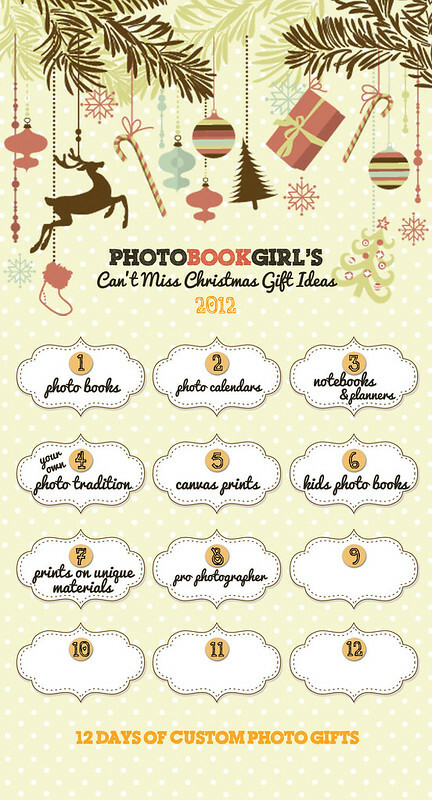 It’s Day 8 of my Twelve Days of Christmas Gift Ideas! My pick of the day is professional photos. Hiring a professional photographer is one of the best gifts you can give – to friends, to family and even yourself. When is the last time you had family photos taken by a professional? When I was a kid we took family portraits when I was about 4 years old, then again at about 8 years old after my brother was born. Then about 10 years passed before we had another official family portrait. A lot of time passed in between these family portraits, and although we have lots of snapshots of childhood vacations, birthdays and anniversaries, it’s the family portraits that stand out in my mind. Now that I have a family of my own, I don’t want to let decades pass by without having family portraits done. So, this past year I hired a professional photographer for Photo Book Baby’s 1st birthday party. I specifically wanted to use the occasion to take family photos with both my family and my husband’s as well since it’s rare that we’re all together. We now have beautiful shots of the party as well as group shots of the family that will look awesome as canvas prints on the wall as well as in photo books. These will make great presents for the family this Christmas. If you’re the “designated picture-taker of your family, like I am, I’m sure you hardly make an appearance in your family’s photos. Hiring a pro will insure you get beautiful shots and allows you to be in them! Moms and Dads you need to get into the picture because those are the photos your children will cherish one day. I know I love looking at my parents’ old photos. In terms of budget, there’s a broad range of prices that photographers charge. Pricing depends on the experience of the photographer as well as what may be included such as prints or albums. I have also seen a number of discounts on deal sites which can offer big savings. But keep in mind that the cheapest photographer isn’t necessarily the best route. I personally like to have recommendations from friends and family for photographers they’ve worked with before. Going online can also be a good way to find photographers in your area. Most pros have a website with a gallery of photos so you can get an idea of the quality of their work. Once you pick a photographer you can ask if they offer gift certificates or some type of card you can enclose for your recipient. If you’re in the Chicago area like I am, I highly recommend Albert Yau of SecondPrint Productions, Gretchen Baria of Moonhouse Productions and Otto Rascon of Otto Rascon Photography.